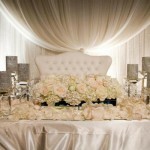 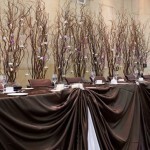 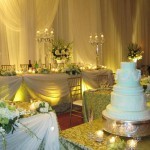 Head table décor is amongst the other wedding-related issues you should plan before the big day comes. 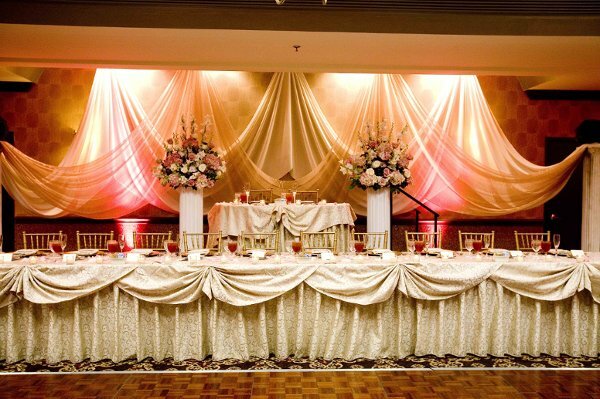 It should be accentuated and stand out among the others, but yet match the other tables. 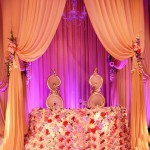 The head table should be outstanding and ornate in order to signify the importance and the head position of the newlyweds. 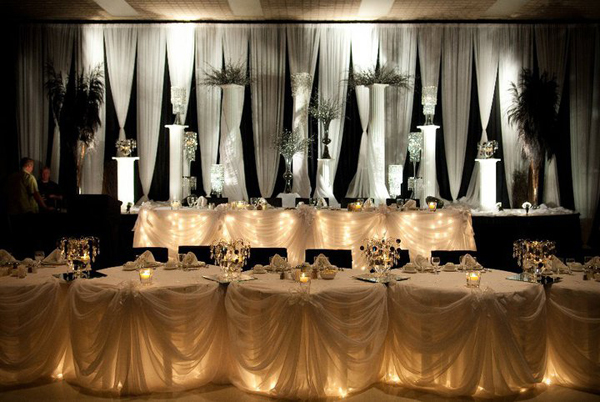 Pick the seating arrangement, location, shape and decorations that would match the overall wedding theme and provide comfort for the couple. 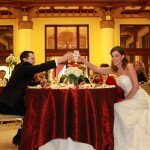 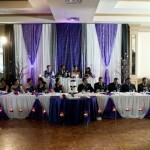 Usually the newlyweds along with their attendants sit at the head table. 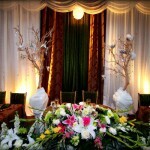 You may change the structure by replacing the attendants with your parents. 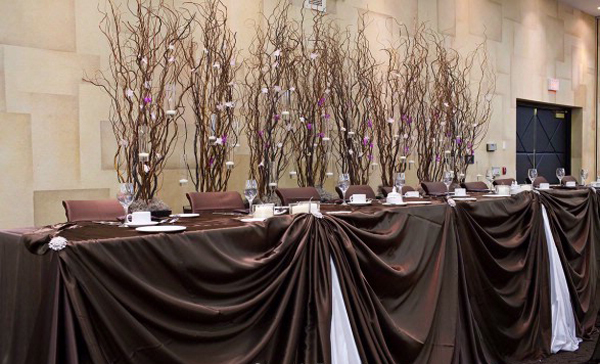 In case you wedding party is not big enough for your head table, think about having your parents along with the attendants’ dates with you. 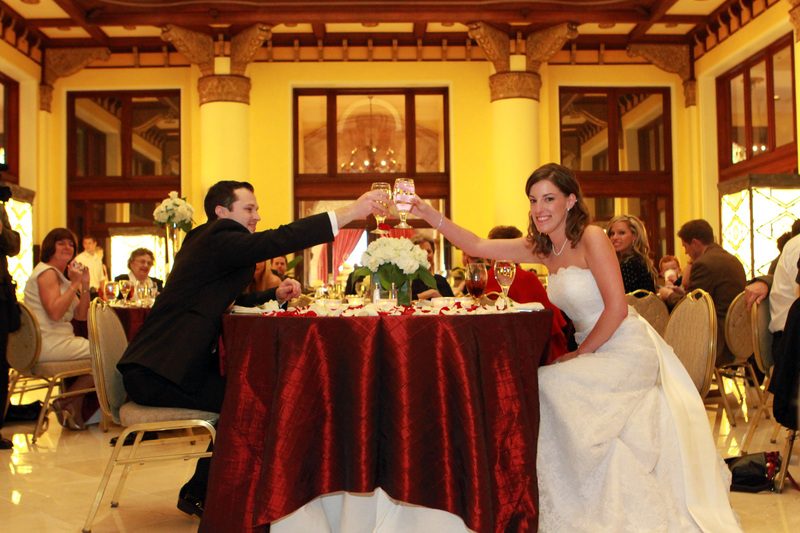 Another option is the couple sitting at the “sweetheart” intended just for two of you. 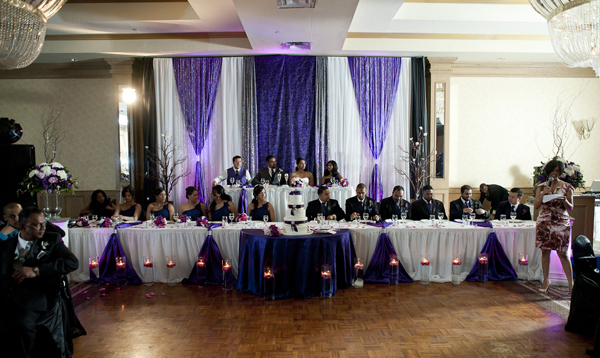 Traditionally the head table has the rectangle shape and the people sit only on one side of the table, what allows observing all the guests. 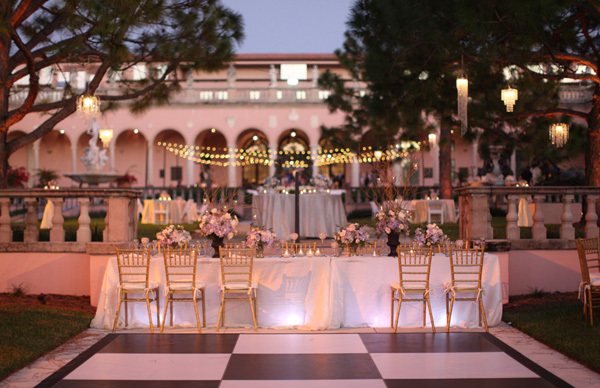 The alternative options are the U-shaped and V-shaped tables. 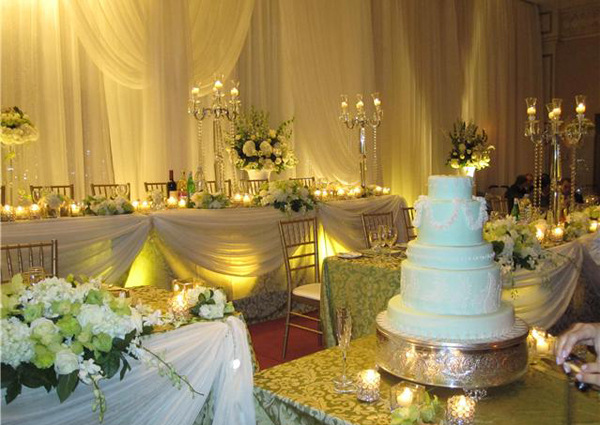 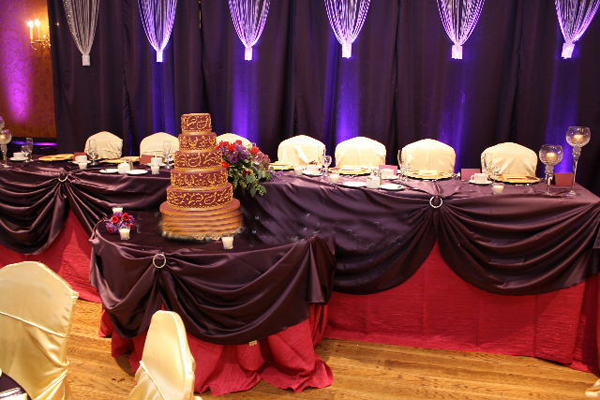 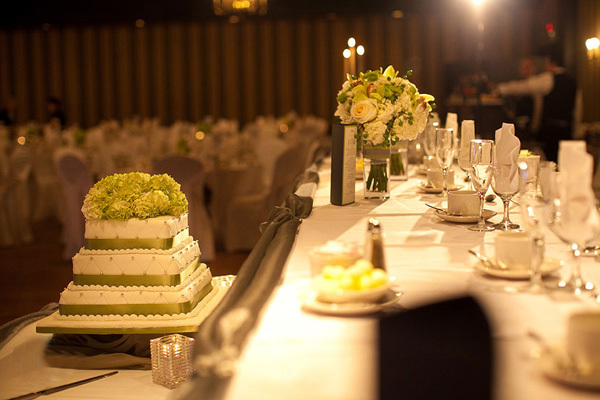 It would be nice having the head table lifted on a platform, while the cake and gift tables should be located in the front. 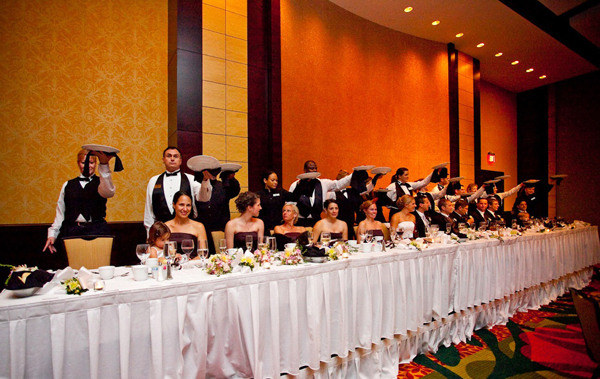 If you want to be surrounded by the guests, consider going for the round-shaped head table encircled with the guests’ ones. 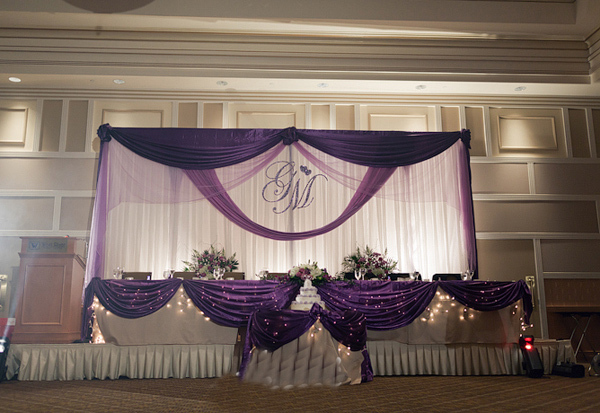 The background is one of the key things in your reception venue décor since the significant part of your wedding photos will be taken while you sit. 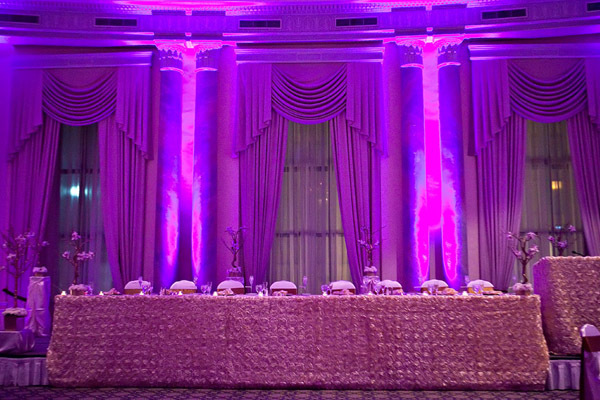 In case your venue area can boast the stunning fireplace or the gorgeous architectural element, think about setting your head table against this background, otherwise make your own. 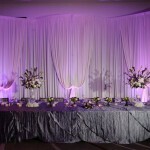 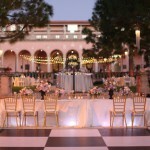 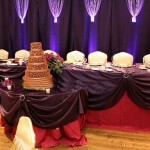 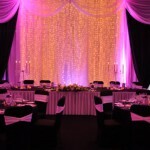 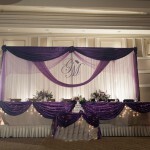 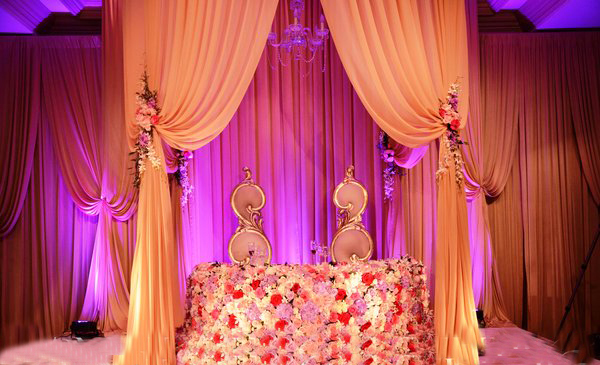 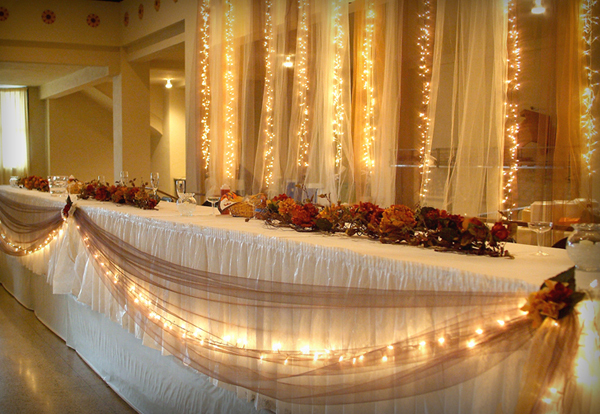 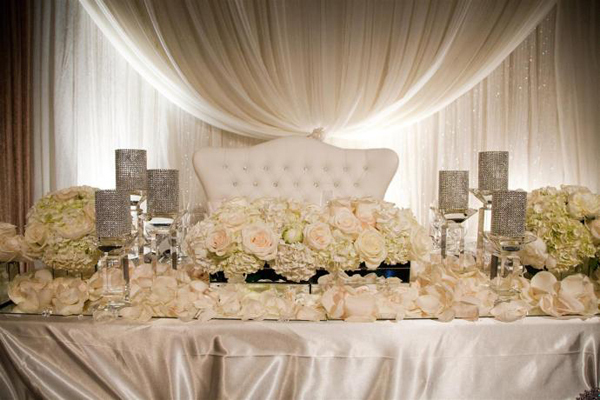 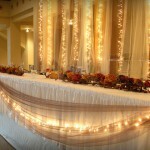 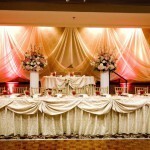 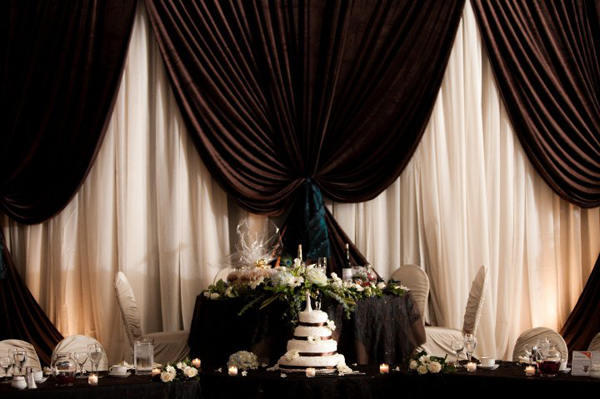 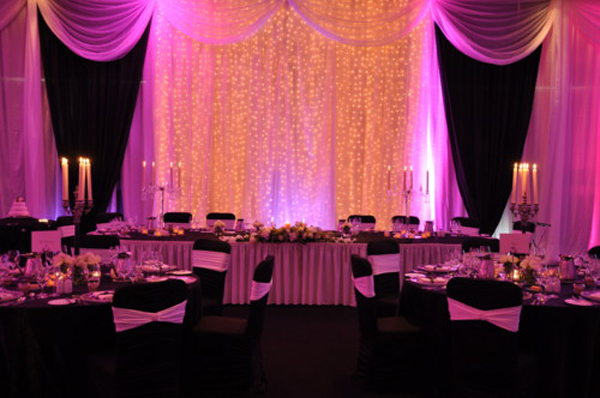 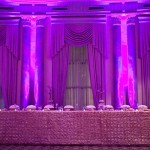 Folding screens, fabrics, arch, balloons and lights are there to help you. 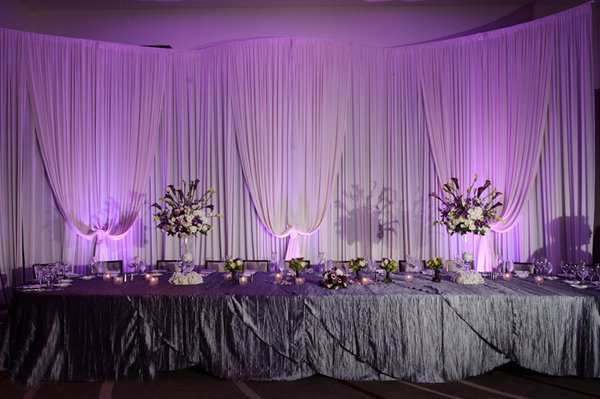 Consider hanging the skirt along the table perimeter in the hues and fabrics that would match the wedding theme and format. 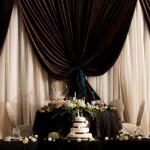 The formal weddings require skirt made from silk, tulle or organza. 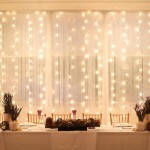 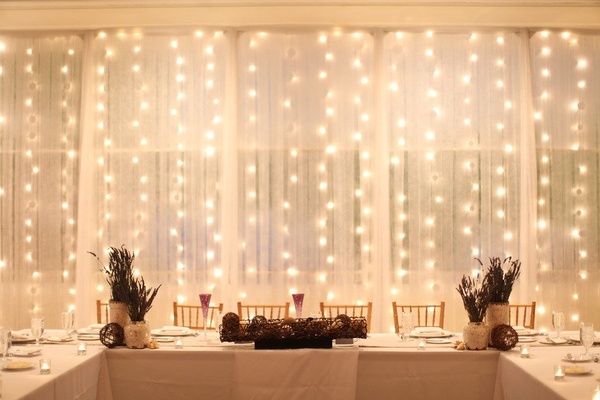 Twinkle lights installed under the skirt will add the romantic and chic effect. 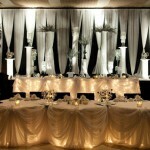 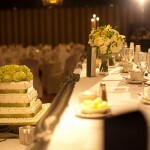 The head table centerpieces should be in the same style as the rest of the centerpieces, only of the larger scale. 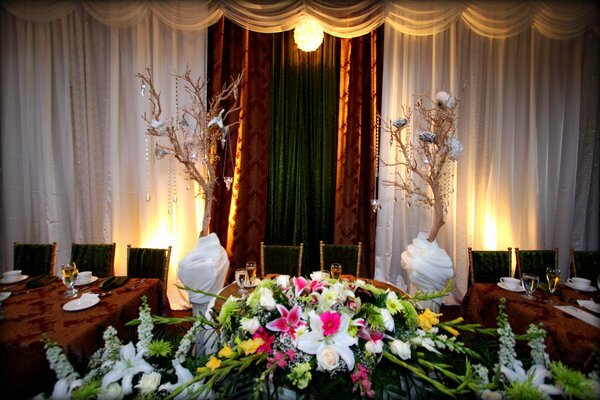 For instance, in case you plan to have the floral arrangements on the guests’ tables, have the same arrangements of a bigger size. 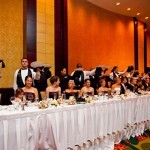 If you plan your attendants and parents sit along with you at the head table, consider putting special favors for them that are different from the ones on the rest of the tables.